Well, this one is a fast paced entertainer. It delivers a generous dose of mystery, shock, awe, suspense and excitement – till the last page. Patterson and Paetro’s lethal combination (of writing and visualizing skills) surely captivates attention and definitely all nerves! The story shows Detective Lindsey Boxer and her partner, Rich Conklin, working on two cases – a female cat burglar (Hello Kitty) robbing the city’s celebrities of their jewels; and a sadist, ruthless, psycho, serial killer (Lipstick Killer) targeting mothers and their children and callously killing both. The characterization of Claire, Cindy, and Yuki are well rounded and realistic. They come across as the smart, brave, sometimes arrogant, yet vulnerable lot. Certain sections of the story seemed predictable, since Patterson has a peculiar style of depicting mysteries. But the climax of the two contrasting cases comes loaded with an ironic twist. The gripping tale and acute detailing of events and the horrendous crime shuns its readers from putting it down until the very last word. A wee bit slow paced with no mind games for the reader. The redundant presentation is now getting over the top. 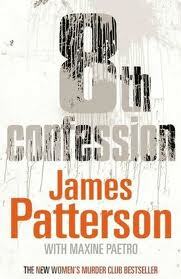 It is just an enjoyable murder mystery with Patterson’s knack of etching intriguing antagonists. The story is about a series of, what appear to be, un-connected murders with no clues whatsoever, beginning with the explosion of a school bus/ meth lab on the streets of San Francisco. Reporter Cindy Thomas, Detective Lindsay Boxer, assistant district attorney Yuki Castellano, and medical examiner Claire Washburn get ready to solve the mysteries while juggling their private lives simultaneously. 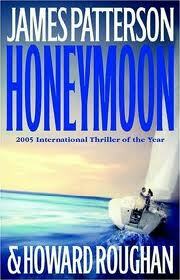 A good measure of fervent romance steams up the storyline without deviating much from the plot. It is a page turner, no doubt, to a certain extent but does not build up any suspense. The climax seems a tad disappointing with the sudden revelation of the culprit – something not expected by the readers. I seem to be a bit baffled by this “thriller” of sorts. A black widow, Nora Sinclair, is a young, bright and deadly lady, who seems to be every man’s desire – but ends up being the worst nightmare a man could face. Thanks to her skewed psych. She is a rich interior decorator mingling with the crème de la crème of the city. Her association with the rich and famous men is short lived – as she ends up plotting their murder after having married them. Having killed two already and planning the death of the third man of her life, she comes under the FBIs radar as the prime suspect. John O’Hara, an FBI agent gets on her trail only to find himself captivated by her charm. In the battle of wits and intelligence, only the best one wins. “Things aren’t always the way they appear” O’Hara’s father warns him and as the plot unfolds the statement seems more and more powerful. In not the right way though. But the characters seemed a bit icky and complex. It didn’t seem like any of Patterson’s previous work. Co-authored by Howard Roughan, the chapters are small and easy to flip through. But many details, I feel, were left out. Like Nora’s mother, who is locked away in an asylum, never ends up revealing the reason for killing her husband. The suspense just remains. The ending is as abrupt as its simple beginning. I did not enjoy it at all. A good paced legal thriller. Jack is a law student at the Columbia University. He is shocked to hear the news of his brother’s death by drowning. Cops claim it is because of drug overdose and eventual drowning. But truth be told – he is murdered. Peter’s body was found on the Amagansett estate of the famous and wealthy Neubauer family. When Jack sees the body he is convinced it is not a normal death. There are some marks on his body that confirm his belief. Jack starts his own investigation and turns on the heat on the local cops as well as the Neubauer family. Soon he has a thug on his trail threatening and frightening him. Jack’s girlfriend too walks out on him. His father dies. He loses his internship. But he still believes justice will be served. And his grandfather supports him all the way. But the people with money controlling the power seem to have a highly treacherous and deadly secret to hide. And they would do anything to keep it under wraps. And they buy the lawyers, doctors, friends and cops – anyone and everyone who has a price. Lies, deceit, revenge, money, mayhem engulf the victim and everyone around him. Lots of twists and surprises make this an engrossing read. JP and Peter de Jonge deliver another fast-paced thrilling page-turner. 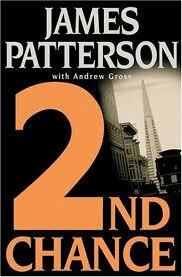 2nd Chance is a fast-paced thriller by the master of thrillers – James Patterson. A sequel to 1ST TO DIE, this one definitely is a potboiler. This Women’s Murder Club series gets more and more gripping with each offering it seems. For those who don’t remember (or don’t know) The Women’s Murder Club consists of Lt. Lindsay Boxer of the San Francisco Police Department, reporter Cindy Thomas, assistant D. A. Jill Bernhardt, and medical examiner Claire Washburn. This highly-motivated women’s group solves the ghastly crimes of San Francisco. This time the action tends to revolve around Boxer. She is taking a break after resolving a case (from the previous book) and undergoing a personal tragedy. Her vacation is interrupted by the news of an eleven year old girl being shot, in a mad shooting spree in a local church, in downtown San Francisco. And she has to rush back. With tremendous political pressure all around, (since it appears to be some sort of racially motivated killing) Boxer turns to her Women’s Murder Club to seek help. Things change hereafter. The killer seems to have a much deeper motive. But the women have no clue except a symbol – “Chimera” representing the lowest criminal element within the state’s prison system. Tracing back to a previous “suicide” case – where an African American woman hung herself, the presence of a “chimera” seems to be their clue. This woman was the widow of a former police officer of the San Francisco police department and in the new case, the uncle of the young girl was a cop too. It is further revealed that Boxer’s dad, an ex-cop, is linked to the killer’s past and he re-appears after having deserted his family for about 20 years. Soon the women of the murder club become the next target. This book has ample focus on the individual lives of the women in the club. You begin to love and care for them. Boxer’s past that disturbed her deeply is brought to light. It is good to know the female POV on the crimes – lending it an emotional touch. I particularly liked the fact that in this book more light was shed on the personal lives of the murder club women making us care for them, and allowing us to relate to them as individuals who, in spite of their smartness, are as vulnerable as anybody else. Lindsay’s personal story is highlighted by her having to come face to face with her dreaded past. A seamless interaction is exhibited between her past and the present through her father. She continues to face her share of life threatening moments and has her loved ones by her side to rely on. The characterization is realistic and strong. The plot is tight. The dialogues are sparkly. The chapters are short. The mystery is gripping. A spray of false leads and twists and weird clues make this a page-turner. Again, JP’s signature style of writing – short sentences and short chapters, with different POVs, make this a fast paced and an easy read. Co-authored with Andrew Gross, the story does dip in some places. But yes, I overlooked those. Patterson’s Alex Cross series and The Women’s Murder Club series (mostly) deliver what they promise – a good chilling thrill. It keeps you on the guessing (almost) to the very end. The series is addictive. Somewhat like the Alex Cross series. 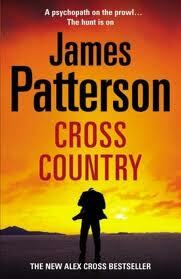 A thriller by James Patterson featuring the forensic detective Alex Cross. The plot revolves around the cold-blooded murder of Ellie Cox (Alex’s friend / first real love) and her family by a criminal known as “Tiger”. Many people are brutally murdered by this horrendous person and Cross takes it upon him to catch “Tiger” and deliver justice to Ellie and others murdered by him. His quest lands him in Africa. The grim reality of this new country though depicted well (to a certain extent) is very graphic in nature. The corrupt government officials in Nigeria arrest, jail and torture Alex for three days before the CIA can come to his rescue. He witnesses some of the most horrible situations and conditions of the people of Africa, far beyond anyone’s imagination. The dire situation in Darfur and the diamond mines of Sierra Leone are boldly portrayed by the author. Though Alex comes across as smart detective in most of his books, in this one it feels like he walks into lame situations without giving it any thought. How did he simply fly over to Africa tracing a murderer without any political or government assistance?! Why does he end up landing his family into trouble and pain? The gruesome murders, the contrived situations, and a loose and somewhat complicated plot did not satisfy me as a reader. Patterson’s short chapters ending with a cliffhanger made it easier to finish the book but the poor action did not keep me engrossed like before.